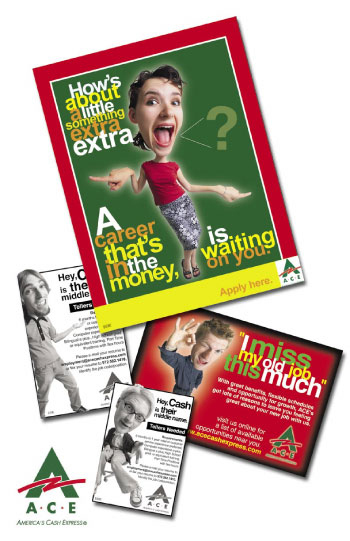 I designed a fun, whimsical campaign for Ace Cash Express to appeal to a younger audience. A variety of black and white and color print ads, direct mail pieces and a cinema slide (played before the previews at a movie) were created. The ads focused around the high wages and great benefits the company has.